One of the most amazing things about mobile homes is how quickly they can be moved. Putting a mobile home on wheels is something companies are doing daily. Transporting a mobile home has become a very common thing. I am sure if you would have told someone years ago that homes would be moving down the road at 45 – 50 mph they would have thought you were crazy. Luckily someone had the vision and the mobile home was invented. What an incredible thing to be able to hook on to your whole home and move it to a new location. Doing this process with a stick built home surely takes quite a bit more time. Its amazing how easy it is to move a mobile home now. Most mobile homes sit on piers on land and have skirting around them. The skirting is usually metal or vinyl and is easily removed. You simply pull on the skirting and it will pop out. Be sure to pull on the top or bottom instead of the middle. You can easily bend or break this material and you may want to reuse it. Once you hire a transport company they will come in and take the home skirting off. They will hook up the axles and place tires on the axles. They will then hook up the hitch to the home to get it ready to move. Sometimes the hitch and axles are missing to the mobile home. Finding axles to a mobile home isn’t terribly difficult. Hitches however aren’t all the same. Sometimes transport companies need to have special hitches designed or welded to make the move more easy. Many people believe that a mobile home is moved by a trailer. They think that a trailer is placed under the mobile home to get it moved down the road. Truthfully, when you look at a mobile home it does appear that way. Once it has tires underneath it, it does appear that it is sitting on a trailer. However, these homes have a metal frame underneath them. That metal frame makes up the bottom part of the mobile home. That is also how you know if you have a modular home or a mobile or manufactured home. A mobile home has a steel frame running underneath. A modular home has a wood frame. If you own a mobile home on private land moving it is typically an easier process than if it is owned in a mobile home park. The land in a mobile home park is of course owned by the park. So they do have a say in what happens in their parks. However, when you own the mobile home you have the right to move it from the park. You just have to realize that you do have to check in with the park office when going to move the mobile home. You need to make sure you are acting within their guidelines. Also, you want to make sure that you didn’t sign a year lease on the land with the park. The park could make that due in full when you go to move the home. I do get this call often because we operate throughout the United States and things change rapidly. 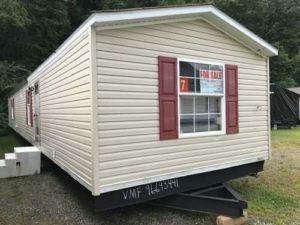 Many parcels of property that mobile home parks sit on are prime real estate and because of this big companies can come in and make big dollar offers on the land. I get calls from mobile home owners who just found out the land that they rent is being sold and they need to move their homes quickly. Surprisingly, this happens more than you might think and homeowners are left scrambling trying to find a way to move their homes quickly. Many times these types of moves need to happen within just a few months. 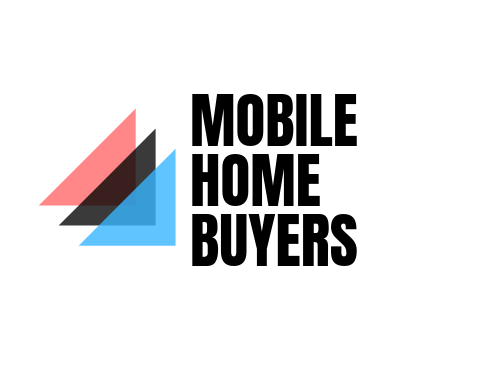 Luckily there are a few options but selling to a broker / dealer might be your best option here because you may need to move from your mobile home quickly. Some mobile homes sit on permanent foundations such as crawl spaces which are usually constructed of cinder blocks. 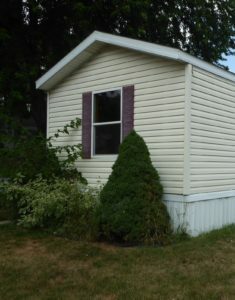 While other mobile homes may sit on full basements which can have block or poured walls. These can make moving a mobile home a bit more expensive. If you want to keep the foundation that the old mobile home sat on for a new build this can be more expensive of a move. There is different equipment that the moving company will need to bring in causing the cost to move your home to go up. Here is a great link if you are looking to get a free quote to move your mobile home. When you are looking for a quote it may take 1 to 2 week for a moving company just to get back to you with a detailed quote. There is quite a bit of planning that goes into moving a mobile home. Figuring out a quote is not a simple process for the movers and it has many parts. There are quite a few factors to consider when moving a mobile home. It will matter the type of foundation, to unhooking the home from utilities, to how far the home has to move. We can’t forget if the home is easily accessible to the road. Sometimes there are trees and shrubs that need to be moved. Moving a mobile home takes planning. Putting a mobile home on wheels will take permits and time. We typically see it taking at least 45 to 60 days sometimes from start to getting these homes moving. There are permits to pull and planning that need to take place, so be sure to plan ahead. Many times pilot vehicles are required for these moves since these are wide load transportation. It’s very important to use someone who is licensed to move your mobile home and insured. There is a lot that goes into moving a mobile home. You will need someone who knows what they are doing to disconnect the electrical and a/c units. You will also need to know how to hook the hitch and axles correctly. We have had people ask if they can move these homes with their pickup trucks and that isn’t recommended. Find someone who is licensed and can get the job done right. Decks, Porches and Carports Oh My….. 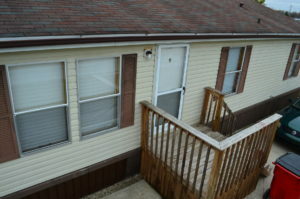 I do get many calls asking about the decks and porches on mobile homes. If you are capable to removing the decks and porches from your mobile home many times it is recommended because in the long run it can end up costing you more money to have the transport company do this. If not you can always hire a handyman to do the job, check out places like Angieslist for contractors / builders near you. Covered roofs on porches are especially costly to be removed and to disconnect. Its important to remember that moving companies are booked typically 1 to 2 months out and they will have a prep crews that come in and get these homes ready for a move. If you can help get things out of their way to simply hook on and move the home it will only help to move things along. TIP: If you have no need for the deck or porch place an ad on Craigslist and either sell these decks / porches or give them away free you would be surprised the response you might get on these. Mobile home movers do not care to move the sheds that typically are placed near mobile homes. If you have a mobile home on private land you might not have a shed but nearly every mobile home in a mobile home park has a shed for storage. If you can sell these separate this will help to get one more issue out of the way. As you might have guessed, having a mobile home that is covered in bushes and trees can also make a move difficult. If you or someone you know can remove these obstacles prior to the move it usually helps things go smoother and there will be less surprises for the moving company. If your mobile home sits in a park be sure to check with your park manager before removing any trees there may be guidelines you need to follow. We do get a lot of questions regarding furniture in mobile homes. When it is my home I try to make sure everything that could slide around and damage the inside of my mobile home is moved out. It could end up costing you more money if the moving crew has to secure items inside the home prior to the move. Some movers will not allow any items to be in the home. This is because of the liability of these items moving. Homes can be moved short distances which can be pretty affordable or across many states. Just remember moving a mobile home across many states can cost quite a bit of money and sometimes it is not worth the cost. For instance, you can buy a used mobile home quite affordably in most areas and the cost to move a mobile home a great distance can cost more than buying a different home…so be sure to weigh out your options. If you’re simply looking for a change of scenery put your mobile home on wheels today or at least start the process.